My day began with singing with my amazing group at Unity — spiritually uplifting songs that truly feed my soul and last for hours on end! 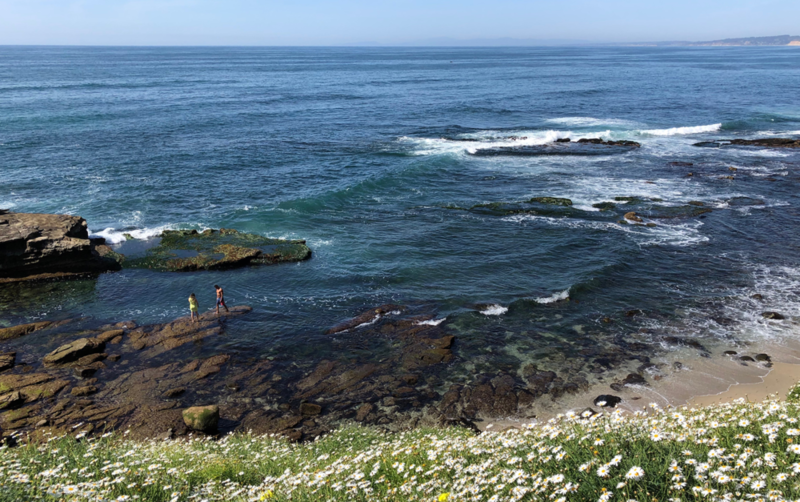 From there, I ventured to La Jolla, a beautiful shoreline community in north San Diego County. I am drawn to the beauty of nature, the sounds of the waves as they crash along the shore and the flowers that bring such joy to the senses. How does this 'feed us', one may ask. Well, I truly believe that "man does not live by bread alone" and that we are fed in so many wonderful ways if we just open our eyes. Be in awe just like a child and soon you may find that worry and angst just fall away.